Earlier this year the world mourned the sudden passing of one of the greatest music idols in human history. 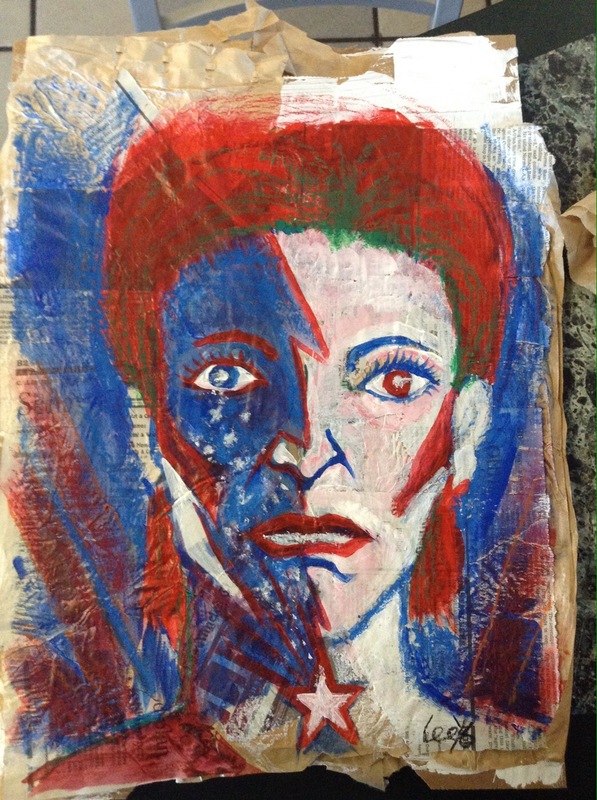 David Bowie, a household name in pop music culture known for his eccentric personae and innovative musical style that stood the test of time, has influenced generations of musicians, artists, and the like, and his untimely death has certainly touched the nerves. Now I admit, I was not keenly into Bowie’s work, and I should have been. Only after the news of his death and seeing all these reminiscence of his life and work did I start looking into it. I’ve heard few of his songs on the radio but didn’t really pay all that much attention to it. Luckily I’m very open and flexible, and found his music and story quite intriguing. And so I felt it out of respect that I make some sort of tribute to this pop legend. I gave it the title after the movie of the same name in which Bowie starred (turns out he was an accomplished actor too) about a man from another planet who tries to fit in with the humans on Earth. I felt it really reflected his real life personae, changing like a chameleon along with the times and making the most of it. It’s obvious life to him was an excellent adventure. As for the overall image I didn’t exactly copy the iconic Ziggy Stardust look ( one of many pseudonyms Bowie went by) just a subtle reference to it. Rest in Peace Mr. Bowie. Sorry I didn’t know you sooner.